Senior Townsend Colley is a four-year staff reporter and third-year sports editor for the Spotlight. 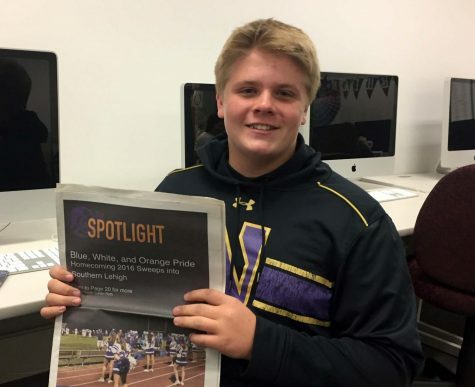 In addition to writing for the newspaper, he plays varsity football. One of his favorite things to do is sit down on a Saturday morning and watch College Gameday Live and not get up until around 4:00 because he watches college football all day. He is a firm believer that Baker Mayfield is God’s gift to football.